Fans of CBS’ How I Met Your Mother — and casual passers-by marginally aware of the show — will notice how the cast has begun to diversify their portfolios. It started with Neil Patrick Harris becoming the default host of the world, followed swiftly by Jason Segel inching away from strictly stoner-comedies to more mainstream box office fare. Cobie Smoulders will pick up a rather decent supporting role in this year’s The Avengers and Allison Hannigan will always be the most succesful actress from the American Pie family. That leaves “star” Josh Radnor, whose quest for his soulmate is the keystone of HIMYM’s dramatic setup and who has, for the most part, remained largely unknown to those outside of the CBS Monday juggernaut. Turns out, Radnor has been cementing his status as “The New Zach Braff” by not only focusing on his breakout sitcom role — that of a quirky hopeless romantic everyman — but also padding his resume as an up-and-coming writer and director of Independent Film. Much like how Zach Braff had his Garden State, Radnor has given us HappyThankYouMorePlease — a 2010 Sundance award-winner that saw a modest theatrical release to mixed reviews — and now Liberal Arts, a light dramedy about the romance of academia and the unstoppable passage of time. Radnor — again writing, starring and directing — is Jesse, a mid-30s New Yorker numbed by his job as a University admissions counselor. When he’s invited back to his Alma Mater for the retirement dinner of a friend and former professor his memories of unhindered youth and knowledge are revived and in the ensuing glow he falls into an ill-advised romance with a 19-year-old sophomore (played by the Indie girl-of-the-moment Elizabeth Olsen). What unfolds is an charming cautionary tale about accepting the changing times, learning to act your age and enjoying life, all personified by a small but delightful supporting cast — Richard Jenkins, Allison Janey and Zac Efron against-type as a hippie stoner. I don’t really understand this new tactic where network shows post their pilots on Hulu pre-debut for a free full-form stream. With the ever-widening gap between what Americans watch and what the Nielson ratings say Americans watch, it doesn’t seem like you’d want to give anyone a reason to NOT tune in live. That said, it sure worked for New Girl so as long as the word of mouth you generate is greater than the loss of potential live viewers than hey, why not? Plus, it gives us the chance to discuss our impressions of a new show before it technically “airs”. From a purely strategic perspective, I think “Smash” is a genius move by NBC. The execs over at the Peacock obviously green-lit this project as an answer to the season 2 zeitgeist of Glee. As luck would have it, season 3 of Glee has disappointed and viewers seem tired of the inconsistent characters and the circular storytelling and, I would assume, are ready for something new and fresh to take over their musical itch. At the same time, interest in reality programming has also dimmed this year. With an overabundance of talent competitions competing for our less-than-thrilled attention it makes perfect sense why a viewer would seek out something scripted that provides their weekly fix of musical talent and pizzaz but spares us the delusions of grandeur and bickering judges. From a quality perspective, I was charmed by the way that Smash was both traditional and unique. In the post-Lost world it is so rare to find an hour-long scripted drama that doesn’t beat us over the head with the elusive promise of “mythology” or involve solving a murder every week. Our characters have their task — put on a Broadway show — and we are going to watch them do it. It’s that simple and after the first 44 minutes I couldn’t help but wonder why every new show feels like it has to be complex to entertain. The cast is superb. Katharine McPhee is simply adorable — I stopped watching Idol long before her debut so she’s a completely new face to me — Angelica Houston is as fascinating as always and, most surprising to me, I liked Debra Messing much more than I ever thought I would. I know her only from her former sitcom Will and Grace so I expected Grace 2.0, instead her character, part of the writing team the birth the Marilyn idea, is a mature, understated, down to earth family woman who Messing inhabits with complete comfort. It’s also nice to see that Jack Davenport was able to crawl out of the black hole that was Flash Forward and fine some work. His character is, so far, the least 3-dimensional — he plays the swarmy, hard-to-work-with Director who ‘discovers’ McPhee and essentially propositions her in exchange for her casting — but hey, you can only do so much in a pilot. How I Met Your Mother is an exceptional sitcom. Yes, it does engage in some of the stereotypical hijinks of laugh-tracked multi-cam comedies, yes it is essentially one of many ‘Friends’ and yes, it has progressively CBS-ified over the years, but it still remains in the upper percentiles of current American Television. 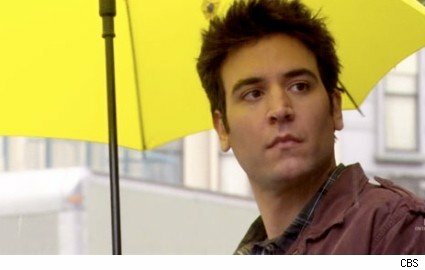 For the uninitiated, HIMYM’s structure is centered on the character Ted Mosby who, in the future, is retelling the story of how he prepared to be a father and subsequently met and married the mother of his two children. The episodes are all segments of one giant flashback, set in the present, showing Ted and his friends when they were in their early 30s. The show is now in an awkward position where its success is allowing the series to extend itself, but its own gimmick has painted itself into a corner where fans and critics are demanding that the central question be addressed and any attempts to delay the inevitable are causing the storylines to stagnate. Here’s what I suggest. Here’s what we know. Ted will meet his wife at Barney’s wedding. It is generally believed that in the finale of Season 7 we will finally resolve the mystery of who Barney’s wife is, with the reveal of Ted’s wife taking at least one more full season. I say, give us a one-two punch. Season 7, in my mind, would end with the reveal that Robin is, in fact, Barney’s bride (I wish it wasn’t, but it’s obviously her.) Ted would give her a pep talk and would walk out of the room with Bob Saget’s voiceover ushering in the end of the episode. We might even see Barney and Robin walking down the aisle with Ted ruminating about his own romantic situation. He’d steal a glance over at Marshal and Lilly, who perhaps are holding their newborn child. The ceremony ends, the guests head outdoors where it has begun to rain. Ted opens his yellow umbrella, which is quickly blown out of his hands by a gust of wind, sailing across the lawn and coming to rest at the feet of an attractive brunette. Camera pans up, up, up and we wonder “will they show her?” and they do. Bam. “And that, kids, is how I met your mother.” Fade to black. Season 8 would then deal with their courtship/engagement with season 9, the final season, ending with their wedding. And THAT is, I think, key. For 7 years we’ve all assumed that the show has to end with the mother’s reveal but when you think about it, HIMYM fans won’t be satisfied with just seeing the face of some stranger before the credits roll. We’ll want to get to know her and the show has to, NEEDS to, end with Ted’s nuptials. It’s the only way. In my head season 8 would begin like this: A familiar shot of the two kids sitting on the couch in the front room. They’re standing, as if making to leave. “Hey, where are you going?” Bob Saggett says. “Do we have to?” asked with trepidation. At which point the episode would take off from the party at Barney’s wedding, similar to the two-parter of Season 1 where Ted meets Victoria or the season 2-season 3 bridge at Marshal and Lilly’s wedding. It’s actually perfect if you think about it, HIMYM has a long history of turning one wedding into two AWESOME episodes so what better way to a) meet the mother and b) usher in the next chapter of the show. Plus the wham-bam of following an obvious reveal like “Robin is the bride” immediately with “This chick is the MOTHER!” would blow our freaking minds. Some people would scoff but who cares. There is no rule that television can’t outlive its titles. Prison Break went on to air 3 seasons after the actual “Prison” “Break”. Two Guys, a Girl, and a Pizza Place (a personal favorite) sold the pizza place and changed its name to Two Guys and a Girl. Boy Meets World met the world, and went ahead with the college years anyway. Point being, it’s a great show and after 7 years of dangling a carrot in front of our faces I can assure you that we will keep watching even after you hand us the carrot and let us bite. So, if you’re out there Craig Thomas and Carter Bays, let us meet the mother, this season, in May. Then, let us get to know the mother and show us the happy, in love, Ted that we’ve been waiting to see. I’ve been working since a very young age. My parents didn’t give us an allowance and I don’t plan on giving my kids one either. I get that the idea is to teach your kids the value of work and how to budget, but something just seems wrong about your children expecting compensation for helping out around the house. I started out as the stereotypical after-school entrepreneur around age 10 but, instead of homemade lemonade or some other pansy product, I sold quality produce harvested from the family garden. Admittedly, it was a faulty business model. I lived on the side of a country highway where what little traffic did pass, did so at 60 mph. Still, every day for an hour or two I would set up my little card table and put out “Vegetables for Sale” on either side of my driveway. I’d get 5, maybe 10 dollars per week which was enough to make me think I was living like a king. I remember how excited I was when I started my own savings account at Key Bank. Say what you will about Nurture but I was born to be a Republican. My second year I made a game changing discovery. People love fresh produce but they are DESPERATE for pumpkins around Halloween. Plus, since pumpkin vines reproduce like rabbits, we always had more than we knew what to do with come harvest-time. To this day I have never found a more perfect gig. My father did most of the gardening. I was the middle man and since I had no overhead costs (and because I was a child) I sold pumpkins for drastically less than what you would by them for in the store. 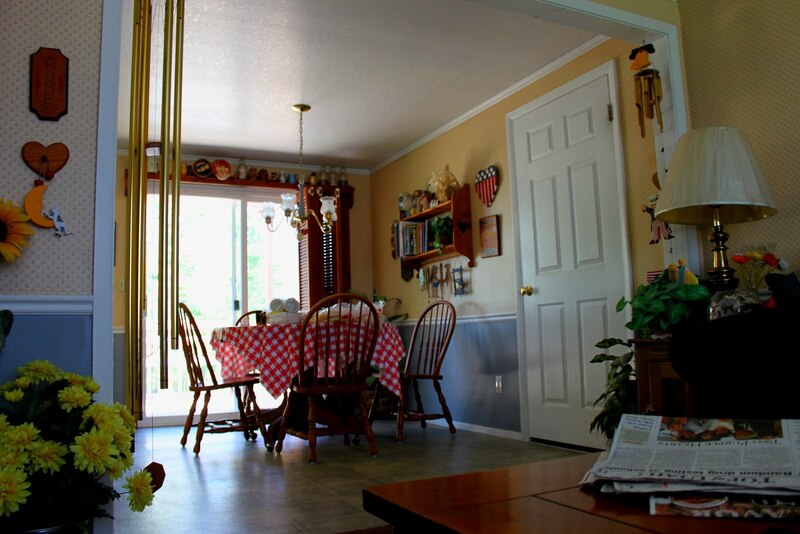 My clients were thrilled, I raked in nothin’ but profit, and my parents felt like I was learning some grand life lesson and didn’t have to worry about where to put all the darned things. Everybody wins. I kept the pumpkin thing going for a couple more years even after I started my first “real” job. I say “real” because I had a boss, but not Real (without air quotes) because I was being paid $3 an hour under the table. Up the road from my house was a nursery ran by a friend of the family and one day I was there and the manager asked if she could buy corn stalks off of me for their decorative value. After a few weeks peddling stalks they asked if I’d be interested in coming around for a few hours a day for a little walking around money. I weeded, watered, pruned, moved supplies around; you know, the stuff that a 12-year-old would do for money at a nursery. It was fine work, except for the days that I was in the greenhouses and would start to see spots after performing manual labor in a 110-degree environment. The nursery was my 12th and 13th summers. At 14 I moved down the road in the other direction to the Argyle Trout Farm for a hefty pay raise — $5 an hour, I think. Those two summers were the stuff of boyhood legend. Sure, I would probably credit that job for planting the seeds of my hatred towards my fellow man — every day, they show up right at closing time — and my generally negative view on illegal immigration — every day, economy class vans, right at closing time –but on the other hand my work duties consisted of making sure no kids hooked their eyes out and burying the “gut bucket” before I biked home at the end of the day. Oddly enough, I got really good at throwing knives. My one tool was my gutting knife which I kept good and sharp and while I waited for the customers to bring me their catches I would practice flinging it at scraps of wood around my little office. The second summer my best friend Trevor started working there and on weekends it would be the two of us. It’s only now occurring to me how much like a YA novel it was. Claire, the cliched love-triangle girl, would come and hang out with us and we would just spend the summer that way, showing off for a girl, throwing knives, gutting fish and burying the gut bucket. I would take 2 showers but even then the smell wouldn’t go away. It was all a prelude to The Oaks though. I knew, and had known for years, that once I turned 16 I would be a dish boy at The Oaks. For more than 10 years the Wood children had been working there and I, the youngest, was not about to break the chain. I remember once when I was 15 I went in with Katie and met the owner. Sure enough, 16 came and I donned my apron. I worked there all through high school moving up the line from dish boy to host to server. What little hate I felt for my fellow man was exponentially magnified at The Oaks and to this day I can’t see a woman in a red hat without my pulse quickening slightly. The environment itself was great though, especially my coworkers. I was a naive 16-year-old interacting with diversity for the first time. Plus, I didn’t have to gut fish. Everyone, at some point in their life, should wait tables. It teaches you so much about the human condition, makes you a better customer, and cures you of any lingering desire to ever work in the food service industry. Around that time I got my first introduction into the wild world of Journalism. I started working for the “Teen Examiner” section of the Ogden Standard writing truly rubbish “articles” about teenager things. Essentially, I was a columnist, but I got bit by the bug and it never went away. Wow, this post is getting long…moving on. When I moved away to college I got the worst job I’ve ever had. I was a freshman living in the dorms and just needed to make a little money before I took off to Brazil for 2 years so I became a typist. I worked for a company that published children’s poetry. Elementary age tots would submit their “work” and we would slap it into a book, put a hard cover on it and sell it back to the children’s families. It was like the “Who’s Who of American Elementary School Poets” and it was complete rubbish. Every day I would pick up a manilla folder of wrinkled 8×11 sheets of paper and transcribe their contents. We had to keep it quiet to avoid “distraction” and couldn’t listen to music because it would cause errors. In other words, there was absolutely no interaction between the staff and we just sat in cubicles with nothing but the click of our own keyboards to mark the passage of time. That same year though, I became a columnist for The Utah Statesman, writing a bi-weekly article titled…Wood’s Stock. When I got back in the states I couldn’t get my column back but started writing news, thus beginning my evolution into an actual journalist (still ongoing, check back later). To pay the bills, I got a job a Great Harvest Bread Co. where I worked for the next 2 years baking bread, singing along to the radio and having inappropriate crushes on my coworkers (a personality trait I’m still trying to overcome). It was completely delicious and really cut down on my grocery bill. At The Statesman, news writer became News Senior Writer, which turned into Assistant Features Editor and then, my best job to date, Editor In Chief. Some people will say I got drunk with power, other people will say that I was just a nerd jealous of the “cool kids” and yet one other group will say “what? who?” Oddly, the first two groups are actually the same people and they’re equally wrong. Most of the controversial articles that ran that year had nothing to do with me and even if I had tried to make the paper my personal soapbox, my editorial staff routinely disregarded my instructions. Print journalists are a special breed. We’re not interested in fame or infamy. We seek out the page, not the television screen and our names, listed next to the articles we write, disappear under the banner of the paper. Take The New York Times, it’s the oldest, most respected paper in the United States, yet the average American can’t name a single person that works there. And yes, there were a number of ill-advised workplace crushes. EXTREMELY ill-advised (and some not-so-ill-advised). From there I took 2 small steps (very small) towards legitimacy. First, as an intern covering crime and politics for The Deseret News and now, as an intern for the best entertainment magazine in the country. My only complaint of DesNews/KSL would be its short term. I would love to go back but, things are tough. But it all ends on Friday. After 5 months (and 2 secret crushes) at EW I’ll be packing my bags and heading home to snowy Utah where I will be unemployed and living with my parents. Not really, but at least for a couple weeks. It will be nice to be a “subscriber” again, reading the articles and feeling actual excitement for what’s coming up for the megaplexes. I’ll miss the private screenings, the bagels, the cupcakes, union square and seeing my name at EW. com but even if 10 years form now I’m a used car salesman in La Verkin I’ll at least have some stories from my time in the big city. I’ve been beating around this bush for weeks now, trying to figure out the intricacies of my argument before I spoke, but enough is enough. Simply put, Mitt Romney is an exceptional candidate, the only one in the current GOP crop (besides Jon Huntsman but, you know) who can even HOPE to compete with Barrack Obama on a national stage and the only one (again, you know) besides Ron Paul who wouldn’t make a complete embarrassment out of the Republican party if he were to be named the nominee. Today’s GOP is quarrelsome, vitriolic, belligerent, close-minded and petty. We have, as a group, abandoned all hope of decorum, forward-thinking and reasonable problem solving. We have made ourselves distasteful to independents and a national punchline. Mitt Romney represents what the Republican party should be, he is experienced, level-headed, good looking (don’t knock it, being “Presidential” still matters) and has a proven track record of problem solving in the public and private sector and has exercised an ability to make concessions for the greater good. The same reasons why my fellow Republicans are reticent to embrace his candidacy are the exact same reasons he should be our candidate. Here’s why. Let me start with a personal story. If you go back into the archives of this very blog you will find a number of posts where I am staunchly opposed to extending the right to marry to gay couples. In time, after continued research and soul searching I have learned the error of that line of thinking and have reversed my position. I, Benjamin Charles Wood, have “flip flopped” on the issue of gay marriage, and I am proud of it. What some people call “flip flopping” I call “Learning from Mistakes,” and I, for one, admire a politician who is brave enough to change his mind. There exists a number a real, lasting problems in this country that need fixing. Our economy is in tatters under an ever-increasing burden of debt. Each of us has deeply-held opinions and ideologies on what the best course of action is but our government will get nowhere (and has gotten nowhere) because of the selfish pride of cow-handed ideologues who refuse to budge on their “morals.” Mitt Romney will not watch this country sink in the name of his opinions. He will consider opposing views and, when presented with a better way, will admit his mistake, change his mind and get. stuff. done. At some point in the recent era, “compromise” has become a dirty word. The founding fathers constructed a system of government that not only encouraged compromise, but REQUIRED it in order to function. Mitt Romney is capable of compromise, and I say good for him. Mitt Romney was the conservative governor of a liberal state with a liberal-controlled congress. Where other men would have faced a 4-year stalemate, Mitt Romney turned a deficit into a surpluss and succeeded in passing widespread reforms. Remember, the legal argument against Obamacare is not that the individual mandate is “bad” but that it is un-constitutional. Whether or not it is right is a matter of opinion and, as we all know, opinions don’t hold much water. The U.S. Congress can not pass an individual mandate but you know who can? States. According to the U.S. Constitution, States can do anything except what is explicitly reserved for the federal government. So, for a party that prides itself on the “original intent” of the Constitution, champions “state’s rights” and bemoans one-size-fits-all government programs, how dare we criticize Mitt Romney and the Massachusetts Congress for exercising their constitutional right to utilizing State Power to reform their individual state’s health care system? How. dare. we. When Romney says he wants to return power to the states, you can take that to the bank because instead of saying nice things and waving a pocket constitution around, he has proven time and time again his belief in state’s rights. If you don’t like Romneycare, rest assured, he has no intention of expanding it nationwide. The opposite is true, he intends to repeal Obamacare and allow individual states to determine their own reform. Sounds pretty darn good (and conservative) to me. Make no mistake, Romney is moderate on social issues. He’s had to toe the tea-party line to survive the primaries (a wretchedly awful system) but once he’s cleared that hurdle you will have a candidate who espouses the libertarian view of getting government out of the bedroom. Some people would criticize this as “insincerity.” I would say the ability to do what needs to be done is EXACTLY what our government needs right now. I believe in cutting costs to reduce the debt as opposed to increasing taxes. BUT if you offered me a deal where I got $9 of cuts for every $1 of new revenue I WOULD SIGN THAT BILL SO FAST YOUR HEAD WOULD SPIN. And so would Mitt Romney. That’s why he’ll actually do something with the budget, while some head-in-the-sand Tea Party psycho will wave a yellow “Don’t Tread On Me” flag while the country burns. Again, Mitt Romney is willing to look past his personal views and get. stuff. done. If this is an issue for you, you’re a bigot. That’s all there is too it. Grow up, shut up and get over your backwoods ignorance. With any luck, in a few months time Mitt Romney will be the GOP candidate for the presidency of the United States. Frankly, I don’t think he’ll beat Obama. I don’t think anyone can. But if the republican party is ever going to return to its former strength and if this country is ever going to heal the nasty divide that has sprouted in the political landscape, it’s men like Romney that need to be leading the way. When it comes time for my state’s primary, I’ll be voting Mitt Romney. Click here for suggested audio accompaniment to this post. So much of popular culture is geared toward the fanboys that the old “Revenge of the Nerds” trope has almost become a cliche. In one summer we saw Thor, Captain America, Green Lantern, The X-Men, Transformers, Super 8, Cowboys Vs. Aliens, and probably more that I can’t even remember on the big screan. Yet still, our cultural identity is still one where the “nerds” can’t get dates to the prom and we cheer as these underdogs rise up, shake the sheets and obtain their long-overdue fame. 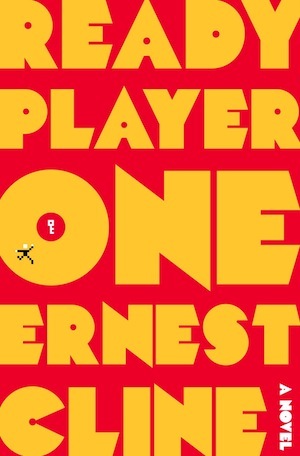 And so, in his first novel, Ernest Cline creates the ultimate geeky-kid fantasy. Set in a near-dystopian future, Cline creates a world that is one part The Matrix, one part Avatar and infinite parts late-20th century where a massive online role playing game (like the ultimate monster baby of 2nd Life and World of Warcraft) known as the Oasis has essentially made real what Justin Timberlake’s character in The Social Network suggests: we, as a species, LIVE on the internet. Wade Watts is our protagonist, orphaned (like any good comic book hero) and living in abject poverty where his only escape is to plug into the Oasis for every waking moment and transport his mind to a digital universe filled with interplanetary travel, magical abilities and epic conquests. For the MacGuffin, Cline creates a scenario where the multi-billionaire creator of The Oasis, before succumbing to age and disease, wills his fortune and his company to the individual who is capable of scouring the Oasis’ infinite landscape and find an Easter Egg, hidden within the code through a series of challenges and secret gates. Cline sets the tale in 2044, meaning that the Oasis’ founder grew up in the 80s and 90s and thus, in order to find the egg, a person must be well-versed in the canon of early 90s science fiction, comic book, Saturday morning cartoon and fantasy lore. Basically, the more you know about being a teenager in 1989 the better you will do, and thus, overnight, old is new again as the entire world, desperate for a chance to inherit the billions, resurrects the Reagen days. In essence, what Cline has done here is create a work of fiction that appeals to, and makes corporeal, the nostalgia of its readers. As Wade jumps from world to world in his version of The Serenity from Firefly, or in a suped-up BTTF Delorian, quoting Ferris Beuller’s Day off and scouring cover art of Rush vinyls for hidden clues you think to yourself ‘hey, I love that stuff too!’ It is a shameless exploitation of Cline’s own memories and those of all of us born before the 90s and yet completely being exploited has never felt better. What Cline lacks in quality of writing he makes up for in droves for sheer, simple delight. As the story progresses toward the inevitable climax, Cline essentially builds the giant showdown in the sky that you always fantasized, one where the Millenium Falcon and the U.S.S. Enterprise can fight side by side and human avatar, unhindered by the limits of our boring “reality” can use samurai swords, rocket launchers, jet packs and magic to defeat their enemies. It’s the geekiest dream you’ve ever had, but written on the page and is, for the most part, difficult to put down. Sadly, Cline stops just short of transcending the popcorn into true depth. He seems to toy with moral issues of his world, where mankind has built a voluntary prison for their minds while the tangible world deteriorates into a lawless wasteland. He almost asks the big questions but always seems to stop himself right where he should pursue. What would be an amazing opportunity for commentary on today’s plugged-in culture and the ramifications that, if unchecked, it could potentially unleash on politics and society fall by the wayside as Cline rushes to the next opportunity to impress us with his vast knowledge of geeky minutiae. His protagonist, Wade, also stretches plausibility beyond what suspension of disbelief will allow. Obviously, we all love the idea of a broke nobody sticking it to the man and getting the girl, but when Wade suddenly becomes capable of Lisbeth Salander-level hacking skills, Cline forgets that the magic is supposed to stay in the virtual reality. He also falls into the trap of Chekov’s gun, adorning every inch of the walls with weapons (both literal and figurative) that never fire.